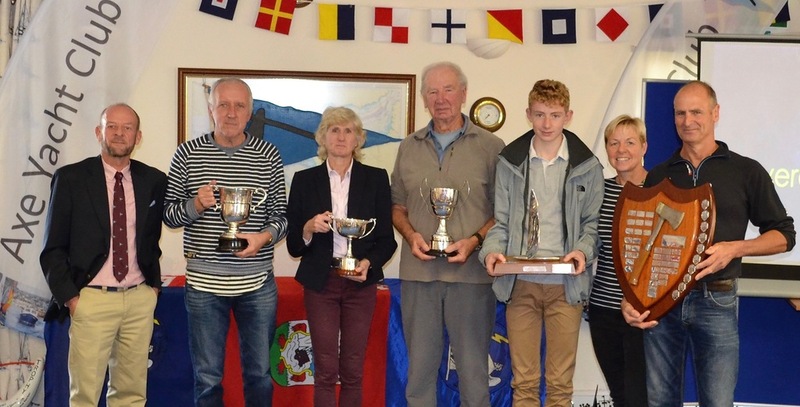 Axe Yacht Club : Congratulations to all the winners! Home / News / Congratulations to all the winners! 25 adults & 12 cadets received trophies at Prize Giving, & there were also 17 highly commended certificates for cadets. A full list of winners will be published in the 2018 Yearbook. Thanks to everyone who came along to support & to Ian, Malcolm and team who put on another magnificent buffet!